When the warm weather of summer slips away, the people of Waynesville start to get excited for the coming season. The leaves will soon start adding speckles of color to the mountain vistas, and the apples growing throughout the county will finally be ripe for picking during the autumn harvest. We get together once a year to celebrate this harvest and Haywood County’s agricultural heritage at the Apple Harvest Festival in downtown Waynesville. This one-day festival has been hailed as one of the “10 best fall harvest festivals in the nation” and the region’s premier juried arts and crafts event. So, what does this celebration entail? All guests lucky enough to attend the festivities will find booths lining Main Street, offering everything from handmade crafts to delicious fried apple pies. Enjoy the sound of live mountain music and the smell of freshly baked foods, like apple donuts, apple cider, apple tarts, and more. Appalachian clogging and old-fashioned games bring some extra excitement and energy to the streets of Waynesville. But that’s not even the best part: all visitors are treated like locals by business owners, booth workers, and fellow attendees. 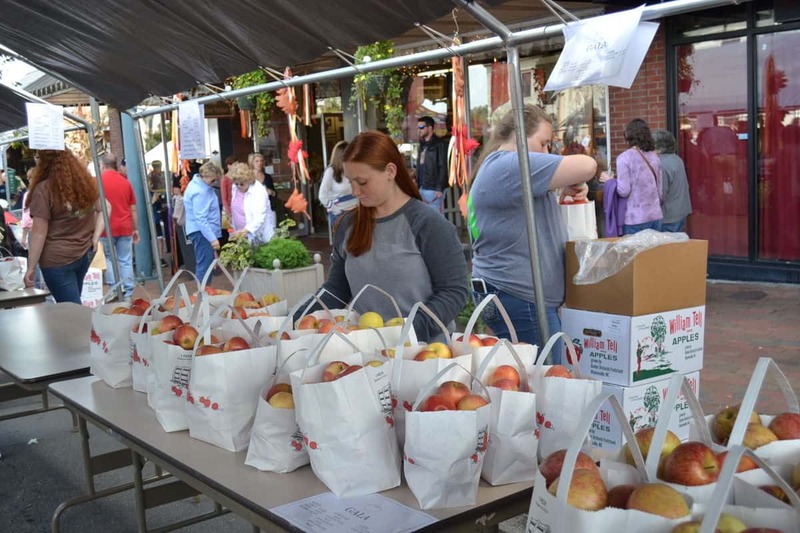 This welcoming atmosphere makes the Apple Harvest Festival a memorable family-friendly event. There will be a lot of people in attendance, so make sure you know where to park! If you’re planning on going to the festival, make sure you take plenty of photos and share them with us on social media using #HAYNOW. We love seeing how you explore Haywood County, and you might even get featured in our upcoming social posts.